Introducing a very high quality, state of the art, family of clear fused quartz based microscope slides. These slides are manufactured from the very highest purity of clear fused quartz. 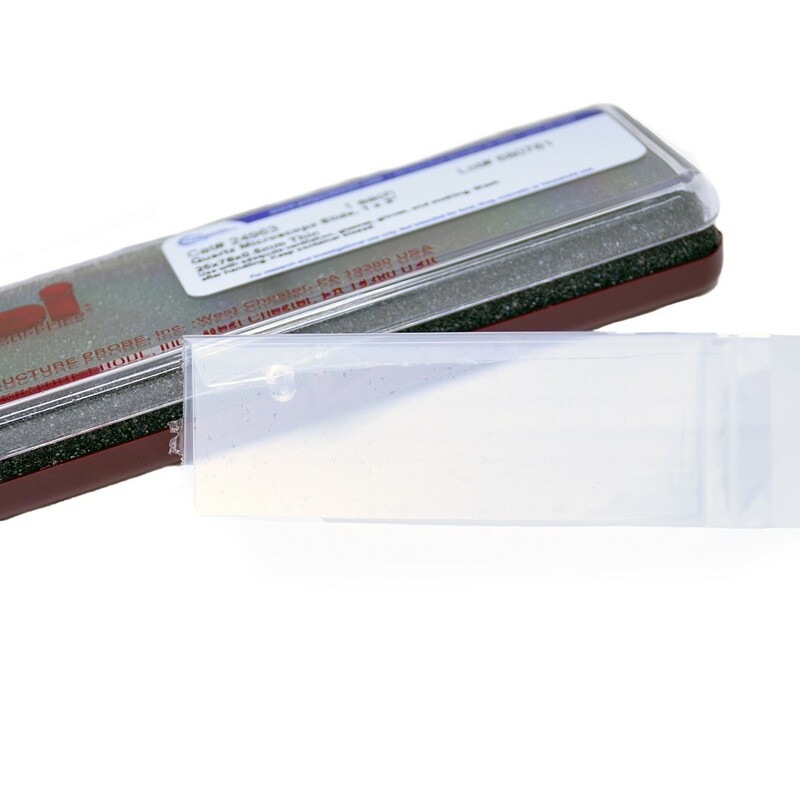 Quartz slides and cover slips are recommended for most applications involving chemical microscopy, in order to be sure that nothing is lost due to absorption in a glass slide. The use of quartz slides and cover slips are also recommended whenever UV microscopy is contemplated, including UV confocal microscopy because of the high UV transparency of quartz. Maximum temperature is about 1250°C (2282°F) as the slide will start to soften at about this point. The coefficient of thermal expansion of the GE 124 quartz (20° C to 320° C) is 5.5 X 10-7 cm/cm x °C.